The mysterious Neighbor takes on a more ominous tone with his alternate butcher's apron attire. Same creepy neighbor, alternate creepy outfit stained with blood. 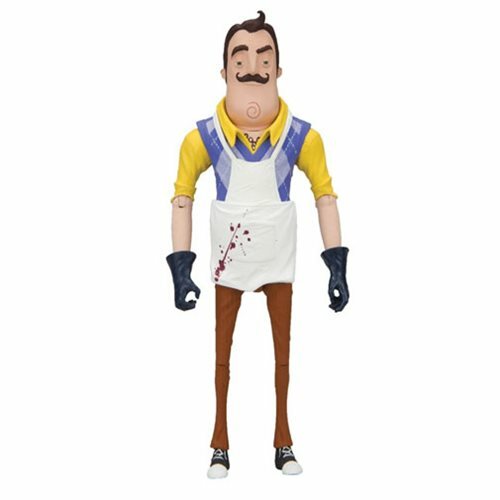 The Hello Neighbor The Neighbor Butcher Series 1 Action Figure stands about 5-inches tall, has 12 points of articulation, and comes packaged in a blister card.